Whilst all eyes are focused on the Solent this week for Cowes Week 2018, for the first time the non-diving public can explore under the Solent and enjoy the fascinating protected historic wreck site that lies in Thorness Bay. As the sailing boats taking part in Cowes Week sail along the gleaming waters of the Solent, some 21m below lies a very different sailing vessel. The Thorness Bay wreck is the remains of a mid to late 19th century sailing ship. 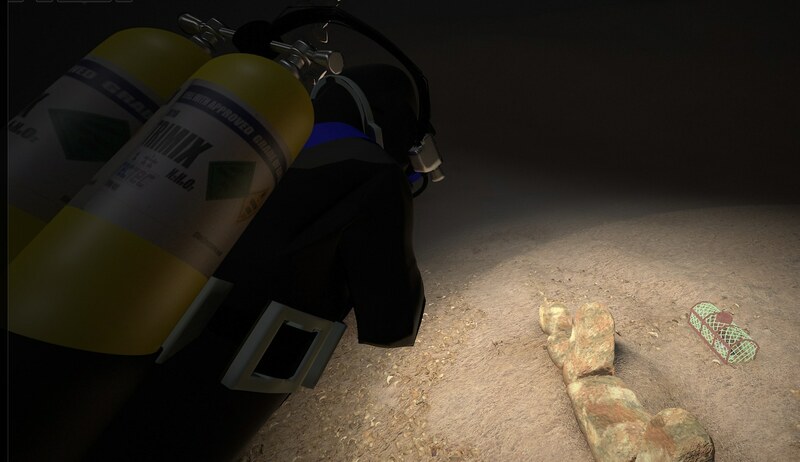 Historic England has commissioned a virtual wreck discovery trail which includes 3D models of the wreck site and diver videos and photos, bringing to life the remains of the entire wreck. Until now all of this was concealed beneath the waves, hidden to all but a small number of divers. 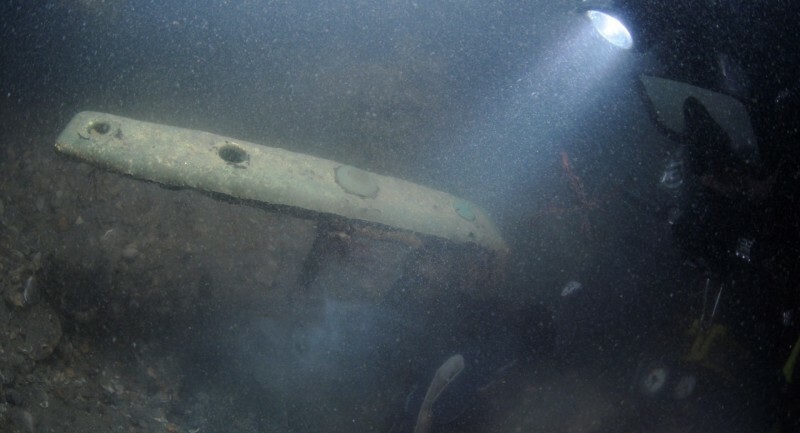 However, Historic England commissioned Pascoe Archaeology Services and MSDS Marine to create a virtual trail of the wreck to allow divers and non-divers alike to explore this fascinating site. Working with ArtasMedia and CyanSub, the trail was created using a combination of archival evidence, geophysical surveys and underwater photos and footage. This evidence has been pieced together to bring the site to life and give the public a glimpse of what it is like to dive the wreck. “I have been involved with this site since it was first surveyed by the New Forest National Park Authority after it was brought to our attention by local boat skipper Dave Wendes. 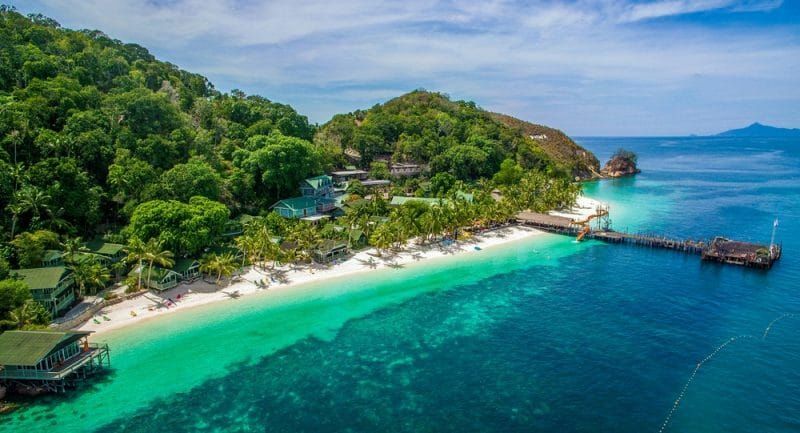 I am delighted to now be able to help share this site in such a unique way with non divers”. 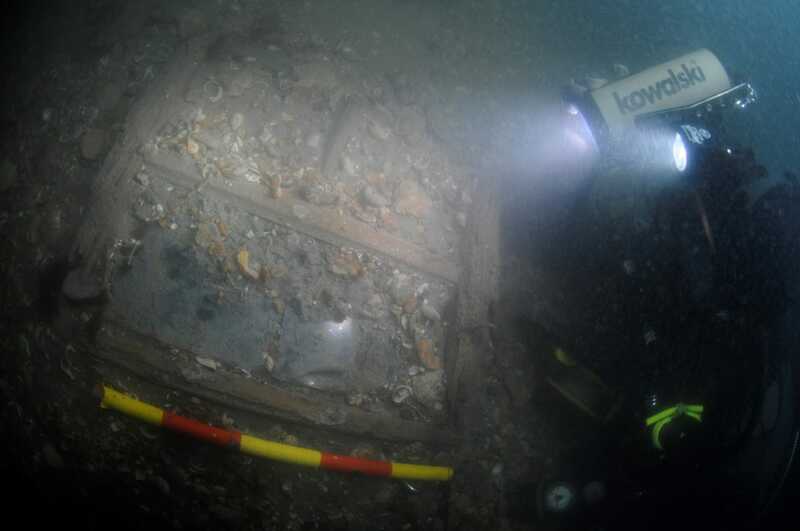 A diver visits the Thorness Bay Protected Wreck Site and examines a window into the wreck. A physical dive trail on the seabed for visiting divers will be launching later this year.